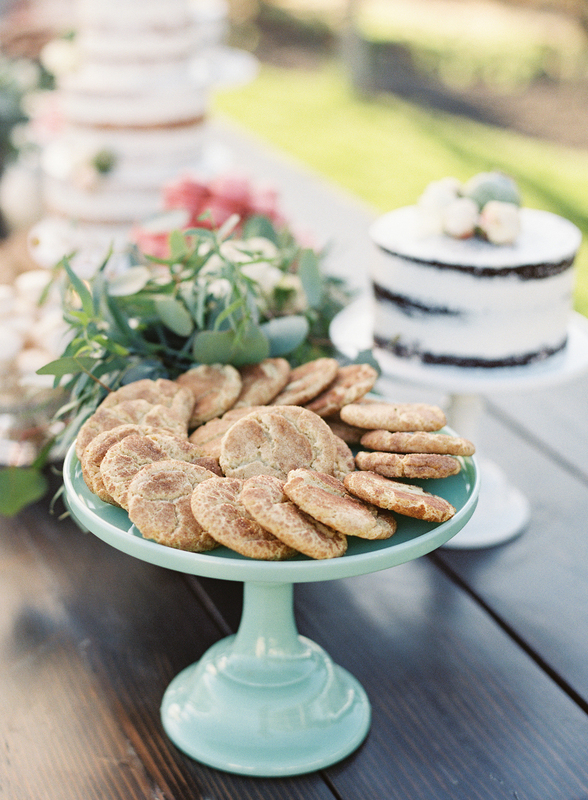 There is just nothing that tops a beautiful outdoor wedding, don't you think?? 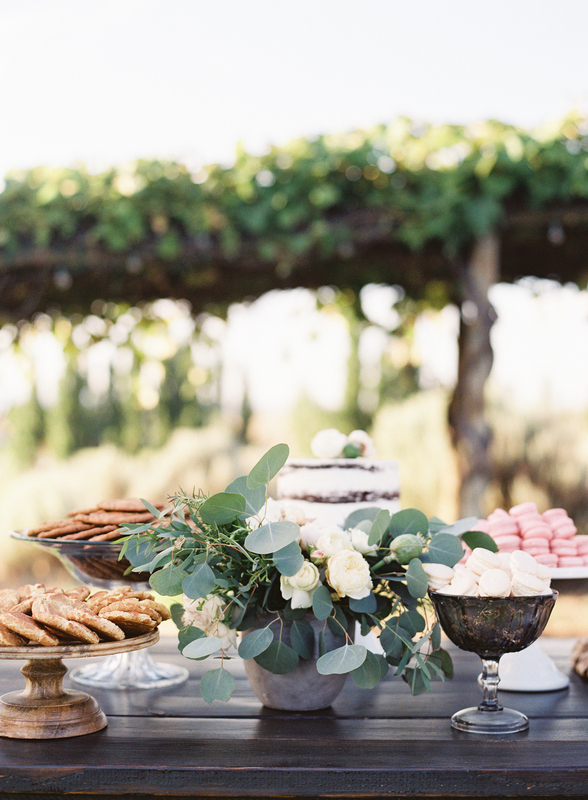 Kevin and Kirsti not only have great style themselves, but also were incredibly wise to hire a dream team of vendors to help pull off their Cave B wedding last summer, including O'Malley Photographers. 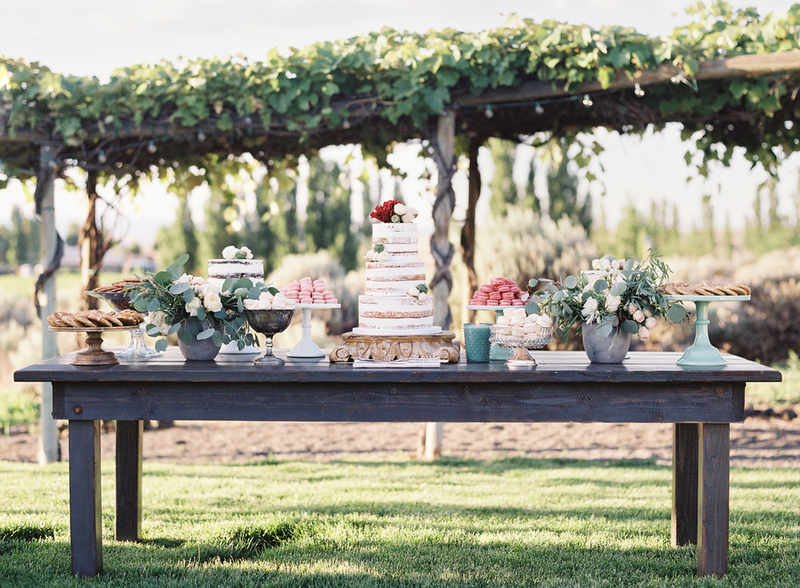 We were brought in create an effortless nearly-naked style, three-tiered cake to which event and floral desgner, Kaleb Norman James Design added fresh floral elements. 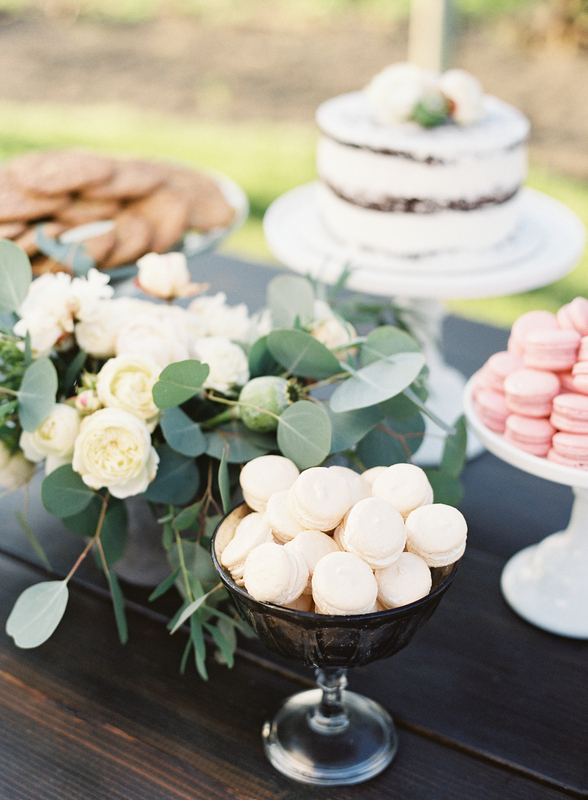 K&K also wanted to give their guests options when it came to their sweet tooth, which lead us to our Snickerdoodles, Toffee Bit Cookies and a variety of of French Macarons.